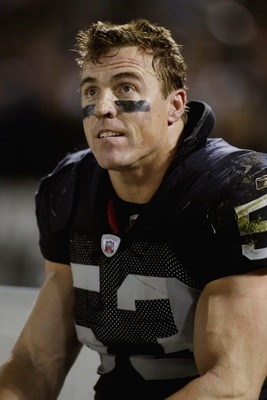 A third round draft pick by San Francisco in 1988 out of Boston College, Romanowski went on to a 16 year career in the NFL playing for the 49ers, Eagles, Broncos and Raiders. The tough, hard-nosed linebacker played in 243 consecutive games, an NFL record at that position, winning 4 Super Bowl Championships. He was the only linebacker to start five Super Bowl Games and is only one of three players to win back to back Super Bowls with two different organizations. A fanatic about training and earning a reputation for aggressive play, Romo did not miss a game in his 16 year career. A two-time Pro Bowl selection he ended his career with Oakland in 2003. 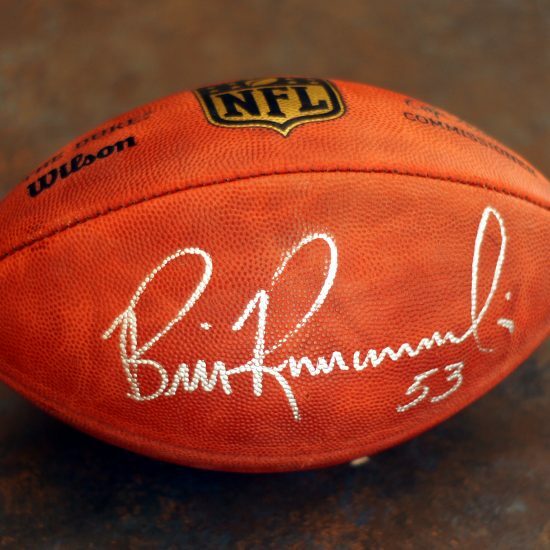 Bill Romanowski was certainly one of the NFL’s top linebackers of his era, a man who played the position with unmatched dedication, passion and intensity. In fact, he was the first linebacker to start five Super Bowl Games, and ended up on the winning side four times. 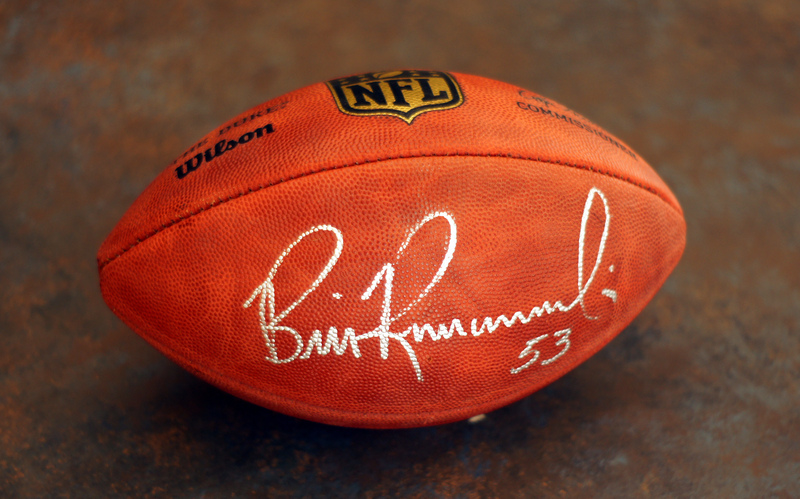 Yet perhaps the most impressive thing about him is the fact that, over his 16-year pro career, Romanowski never missed a game. He played in 243 consecutive games —- a record for linebackers —- despite a variety of injuries that ranged from a torn knee ligament to about 20 concussions. William Thomas Romanowski was born on April 2, 1966 in Vernon, Connecticut. One of five siblings, he learned the value of hard work from his parents, Bill and Donna, at a young age. His father, a former baseball standout, encouraged Bill’s athletics. When he graduated from Rockville High School in 1984, he was pursued by numerous schools before deciding to stay close to home at Boston College. His fellow students enjoyed the college life, but Romo had to be chased out of the weight room by team trainers. “While my friends were out until four or five in the morning, my self-imposed curfews were designed to ensure eight hours of sleep, minimum,” he wrote in his autobiography. Romo’s dedication resulted in a spectacular career at BC, and he won the Defensive MVP award at the Cotton Bowl his senior year. 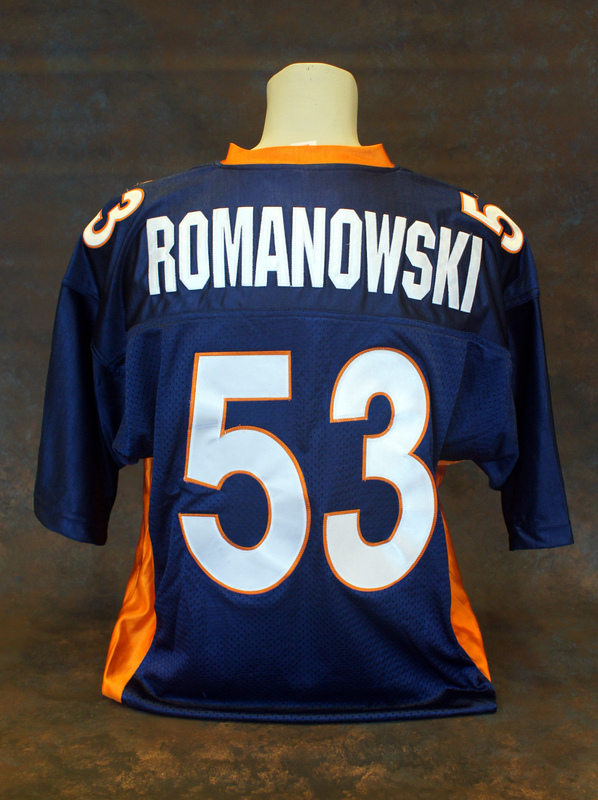 Romanowski was frequently referred to as “a throwback” because of his hard-hitting intensity. “Romo gets so geeked up on game days, you can’t even talk to him,” Broncos teammate David Diaz-Infante once told Sports Illustrated. Romanowski also played mind games with his opponents to gain an advantage. “He’s like the crafty catcher who’s asking you about your girlfriend as soon as you step into the batter’s box,” said Denver defensive coordinator Greg Robinson. Romo thousands of dollars in fines. Romo also spent as much as $100,000 a year on vitamin, minerals, nutritional supplements and special training. Bill experimented with substances and techniques that few people knew about at the time, such as hyperbaric chambers and deep tissue massage, and he did that for much of his long career. He admitted that he tried using steroids near the end of his career, from 2001 to 2003, and regrets doing so. a New York Times best seller. 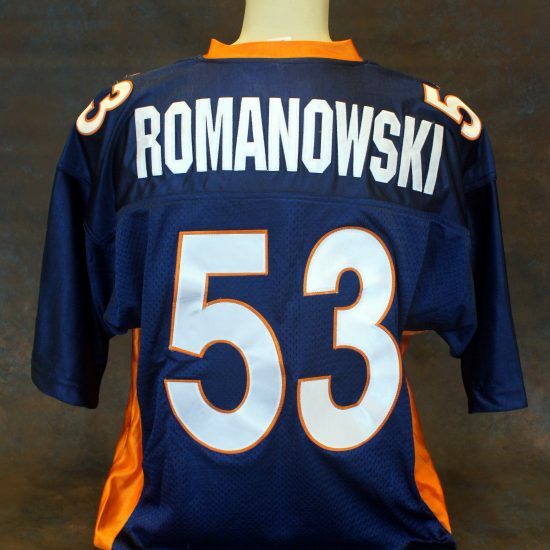 In 2006, Romanowski founded Nutrition 53, a nutritional supplement company that got its name from Romanowski’s football jersey number, 53. Romo is also is active in the internet community and media through his Facebook page, blog, and guest appearances. He’s also been able to devote more time to his wife, Julie, and children, Dalton and Alexandra.